Laura Ingalls Wilder was born on February 7, 1867. 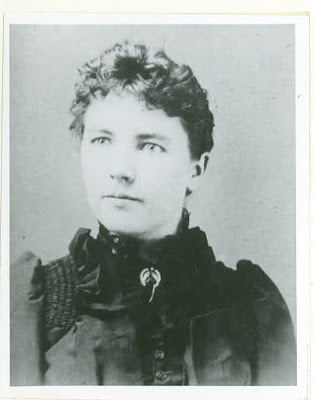 Laura Ingalls Wilder, age twenty-seven. Photo courtesy South Dakota State Historical Society. Used with permission. Laura Ingalls Wilder was born to Charles and Caroline Ingalls seven miles northwest of the small town of Pepin, Wisconsin on February 7, 1867. She moved many times during her childhood as her father sought a better life for his family across the American pioneer. 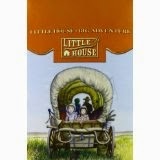 At the age of 63, Laura wrote of her childhood memories in the nine classic Little House books. They were based on her life, but she did fictionalize some details to write a better story. 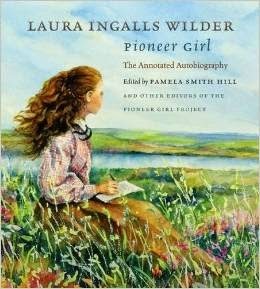 Her autobiography, Pioneer Girl, was finally published in 2014. Laura wrote of a simpler time by many standards. The family focused on one another and survival without many of the distractions we have today. Though simple, life was not easy. Laura's world of Little House shows how hard survival was on the American prairie in the late nineteenth century. Happy birthday to the author who opened the eyes of children around the world to the wonders of American history! Read about Laura's fifth birthday and be sure to enter the birthday GIVEAWAY! Want your own Little House Birthday Party?